In today’s world where so much of our business is done via email, keeping a tidy and organised inbox is hugely important. Using email filters should be a standard part of any inbox maintenance for both you and your customers and it’s often one of the first things I will help a customer to get sorted when I start working with them. Google Apps and Gmail is commonly used by small business owners, and it also has a very effective filtering system. 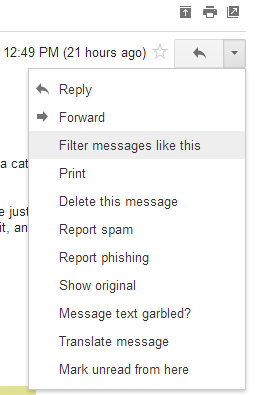 Here’s how to set up email filtering in Gmail. To set your filter, your first need to define the search terms that will trigger your filter to start. 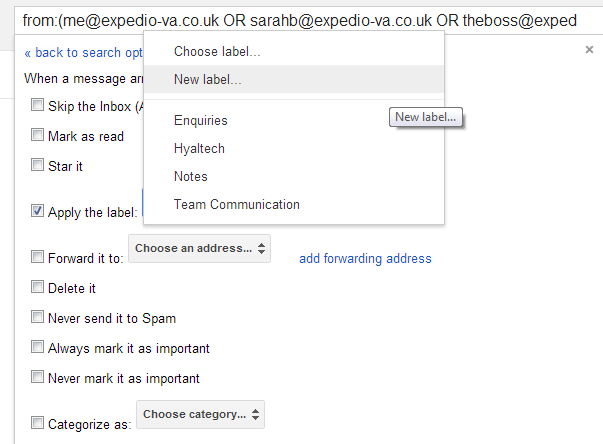 To do this, click the drop down arrow on the right hand side of the search bar within your gmail inbox. You’ll then see the search wizard. 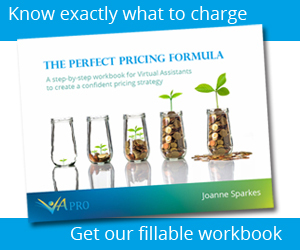 There are numerous options to choose from, so you can be as creative as you like! Set your various options, such as filter messages that are sent from or sent to a certain person, include a specific subject line or have an attachment. Google also has a number of advanced search operators that you can use, such as AND, OR or ways to exclude certain words. For a full description of these, take a look here. You will then see the next screen with some options on how to handle your filtered emails. 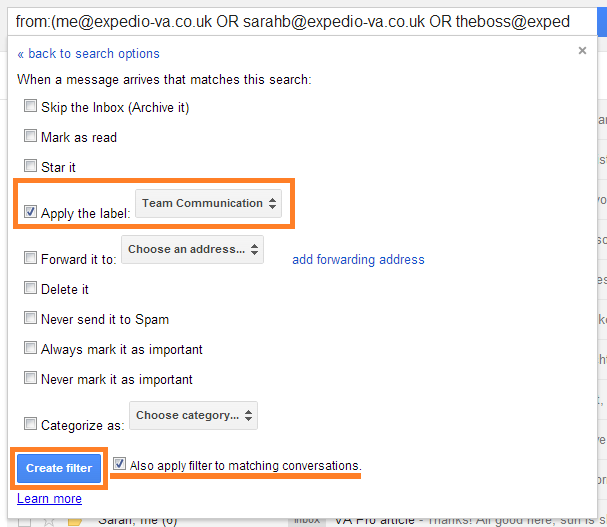 For example you can send them to a specific folder, mark them as read, delete or archive them. Here, I am going to give these emails a label of “team communication”. Simply tick the box “apply a label” and then select your label from the drop down box next to it. When you are done, click “create filter“. You should then see a message telling you that your filter was created. This will then open up the filter wizard as in the steps above. 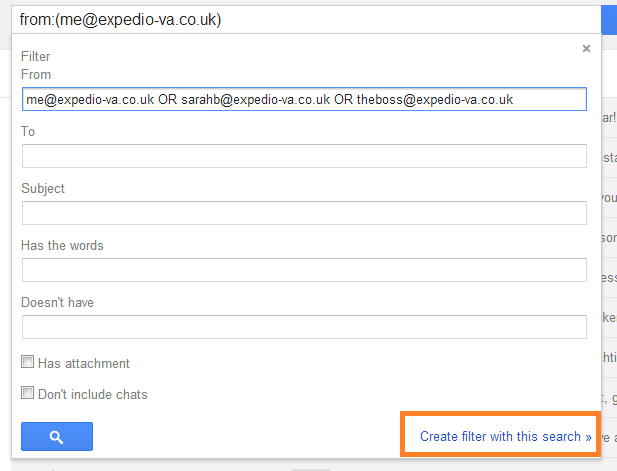 Note: once created, you can edit or delete your filters at any time from the inbox settings. Great guide . I totally agree that keeping your inbox organised is extremally important, especially in business, and especially in today’s world when we are using e-mails in business pretty much 24/7.